The increasing popularity of plain language, the concept of writing clear, simple prose, is making it easier for people to understand legal documents and government forms. It’s also recommended for any print or online publications intended to provide information or explain a process — and writers should consider its utility for any content context. Here are the main ideas behind plain language. 1. Identify and understand your readers and their needs: Who are they, and what is their likely reading level? What do they already know about the subject, and what do you want them to know? What do you need to write to convey this information? 2. In an introduction or in navigational content, state the purpose of the content, and tell your readers why the information is important to them. Consider, too, what you want readers to do after reading the content, and how to use your writing to get them to do it. 3. Organize content so that information and procedures are presented in the order in which the material will make sense to the reader. 4. Clearly state requirements and responsibilities — those of the reader, the information provider, and third parties. 5. Provide clarity by using examples and/or anecdotes, using lists, tables, and images, emphasizing key terms and steps, and employing a clean, uncluttered, well-ordered design. 6. 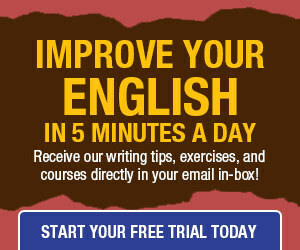 Write short sentences; keep the subject, verb, and object close. 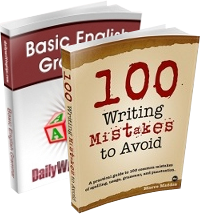 Place words carefully, and avoid double negatives. 8. Write to the reader, using second-person pronouns rather than third-person nouns: “You must provide written proof”; “We will respond within seven business days.” This approach encourages you to write in the active voice. Define the pronouns so that readers are clear about the categories of people or other entities — audience, information providers, and third parties — referred to as you, we, and they. 12. Allow contractions; they’re conversational. 13. Avoid elegant variation, which invigorates creative writing but can confuse readers when they’re trying to understand instructions or regulations; use the same standard terms each time you refer to them. 14. Don’t shy away from technical terms your audience knows, but avoid jargon such as leverage and legal terminology such as herewith. 15. If possible, use a question-and-answer format for presenting information. Use conversational wording for questions, based on what readers would be expected to ask, and provide clear, concise responses. When possible, ask and answer only one question per item. 17. Based on your audience, determine which acronyms and initialisms are appropriate. Minimize jargon acronyms and initialisms; use descriptive words instead. When using common acronyms and initialisms, decide whether to spell them out on first reference with the abbreviation in parentheses or to define them, or whether to trust your audience to be familiar with them. Avoid using more than a few acronyms and/or initialisms in a given piece of content. 18. Omit unnecessary words: Watch for verbose phrases. For example, the presence of a preposition signals an opportunity for a more concise revision (or, in other words, prepositions signal a revision opportunity). Avoid redundant wording such as “basic fundamentals,” legal doublets such as “cease and desist,” and intensifiers such as actually. 19. Avoid cluttering content with definitions if possible, but if they’re necessary, locate them at or near the first reference to the term. If you must use a glossary, list terms alphabetically, and keep definitions succinct. Make sure that the definitions are consistent with the accepted meaning. 20. Use links wisely. If the title of a Web page is the destination, use the title as the link. The name of a website or an organization is best for directing people to that organization’s website. (Avoid generic link wording like “Click here” or More.) Links should be as short as possible while clearly indicating where they will lead; words or phrases are less obtrusive than entire sentences. Read this post about plain language, also known as plain English. Couldn’t agree more with this, but then part of my job is persuading a curiously reluctant organisation to embrace all these ideas. My colleagues wince at plain English’s directness, but our customers like it, and when we write to them they don’t need to phone us because they get it the first time. I also like #13, the “elegant variation.” I see many writers who are so obsessed with clever word play that they forget something important: That word WORK comes before word PLAY. A first-rate article with excellent links. Timely too, as I was just talking about plain language, because I had to work on so many incomprehensible documents lately. Thank you again DWT, you are the best writing site in the world. Bookmarked especially as a reminder!